South Africa is the southernmost country on the continent of Africa. It has a population of more than 50 million. South Africa has many different cultures and languages. English, Afrikaans (a language brought by the Dutch to South Africa 350 years ago), and nine other languages are official languages of the country. Almost 80 percent of South Africans are of African ancestry. The two largest African groups are the Xhosa and Zulu. The majority of students at Riverside Adventist School came to the school speaking Xhosa or Zulu. Riverside Adventist School is a real mission school. It’s located in a busy part of the city of Cape Town, South Africa. [Locate Cape Town.] The school was started more than 80 years ago, and some of the original buildings are still in use. The neighborhood around the school has changed a great deal, and today more than half of the students come from non-Adventist families. Most of the students speak little or no English when they arrive. They must learn English in order to understand their teachers. Mbali [em-BAH-lee] is in the second grade at Riverside Adventist School. Her family is not Adventist, but her mother wanted her to study in a Christian school that teaches in English. When Mbali started first grade, she spoke only her family’s traditional languages—Zulu and Xhosa [KOH-sah]. She knew only a few words of English. 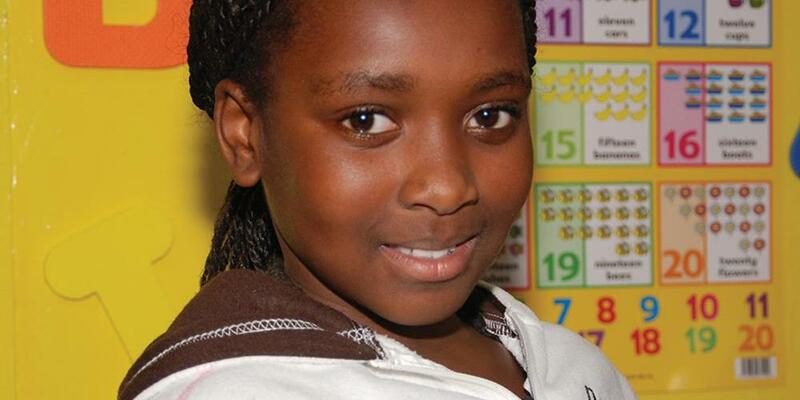 Mbali worked hard to learn English and is doing well in school. Mbali remembers how she felt when she first came to Riverside and listened to her teacher speak in English. She didn’t understand what the teacher was saying, and she felt lost. But her teacher was kind and understood that the children were all struggling to learn a new language. She spoke clearly and carefully, and soon the children began to understand the new language. Now when Mbali sees a child who is having difficulty with English, she wants to help. One girl in her class spoke only Xhosa when she entered the school. Mbali helped her learn English by explaining in Xhosa what the teacher was saying in English. Then she asked the girl to repeat the English words after her. Mbali helped the girl to learn English quickly. “I like helping other students,” Mbali says. The teachers and students from Riverside Adventist School often put on programs in Adventist churches in Cape Town. The children enjoy taking part in these programs. Some sing in the choir, and others pray or read Scripture. When the teacher was planning a program for one church, Mbali asked if she could read a Bible story to the congregation. The teacher was surprised, for Mbali was just in the second grade, and English wasn’t her mother language. But the teacher agreed and chose the story of the little maid, Naaman’s servant girl, from My Bible Friends. Mbali practiced reading the story until she could do it well. Then she practiced reading it loudly enough so that everyone could hear her. Mbali invited her mother to attend the program and hear her read the story. Mother was excited and glad to attend the worship service to hear Mbali and her schoolmates present their program. After church Mbali’s mother spoke with her teacher. “I’m so pleased at how well my daughter is learning,” she said. “I’d like to attend more programs like this.” Mbali’s teacher told the girl’s mother when the next program would be held and invited her to come. Mbali’s mother has attended several programs that the school has put on in various Adventist churches. This quarter part of the Thirteenth Sabbath Offering will help build an Adventist school for the children in the country of Botswana. Let’s plan now to give a big offering so that the children in Botswana can learn about Jesus in a safe and comfortable school.